Heavy Duty bungee construction with nylon cover. Durable steel carabiner clip for easy attachment. 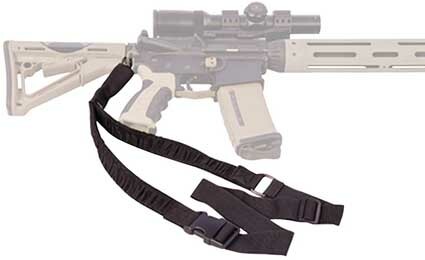 Allows safe and convenient muzzle down carry position.